Common Salvinia Discovered at Kurth Reservoir. 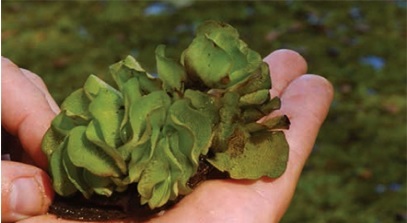 Common salvinia is related to giant salvinia but typically does not grow as large as its more invasive relative. Common salvinia can still create similar access and recreational issues just like giant salvinia, so, TPWD will be aggressive with its control efforts at Kurth Reservoir. It is not the first time invasive species have found their way to Kurth Reservoir. In 2012 they discovered water hyacinth in the canal near the boat ramp. Through TPWD’s rapid response effort the water hyacinth was quickly eradicated, and no new infestations have occurred. Hydrilla is also present in the Kurth Reservoir but is not problematic. Boaters recreating on any of the 20 lakes infested with giant salvinia or now on Kurth Reservoir, infested with common salvinia, should be particularly vigilant about taking these actions. Other East Texas lakes currently infested with giant salvinia include Lake Athens, Brandy Branch Reservoir, Caddo Lake, Lake Conroe, B.A. Steinhagen Reservoir, Lake Fork, Lake Livingston, Martin Creek Reservoir, Lake Murvaul, Lake Nacogdoches, Lake Naconiche, Lake O’ the Pines, Lake Palestine, Lake Raven, Sam Rayburn Reservoir, Sheldon Reservoir, Lake Striker, Lake Texana, Lake Timpson, and Toledo Bend Reservoir. Common salvinia can be found on B.A. 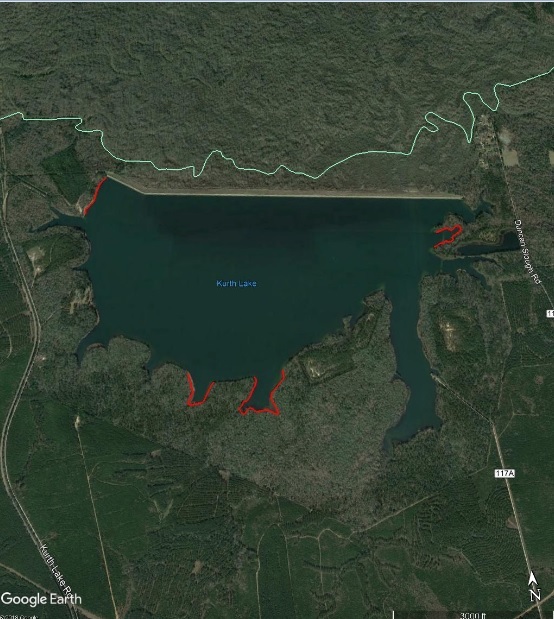 Steinhagen Reservoir and Sam Rayburn Reservoir as well. Additionally, both standard and giant salvinia can be found in many of the numerous creeks, bayous, and rivers along I-10 from Beaumont to Houston and then south to the Brazos River. All boaters, anglers and lake-front property owners should learn to identify both common and giant salvinia as well as other invasive species that occur in Texas waters. Most importantly, boaters should remember to clean their boats and trailers before leaving the boat ramp. Transporting invasive species is prohibited by law and punishable by a fine of up to $500 per violation.